Make your stay even more affordable with our special offers! If applicable, the free night offer is automatically included in the prices quoted on this website. However, we hope you can take better advantage of this offer by knowing all the details. For a 7 nights stay at Bon Azur, you will pay only for 5 nights. This promotion is valid year-round, except for arrivals from 19 December to 06 January. For a 7 nights stay at Cape Point, you will pay only for 5 and for a 10-nights holiday, you will pay only for 7. For a 10 nights holiday you will receive 1 night free of charge (stay 10 nights, pay only for 9). If you plan to enjoy a 2 weeks holiday we will offer you 2 nights free (stay 14 nights, pay only for 12) and for a longer stay, such us 21 nights you will be offered 4 nights free (stay 21 nights, pay only for 17). This offer is valid year round except during peak period (December 19th - January 10th) and the month of April 2015 (April 1st - April 30th) and is combinable with the early bird discount. You will receive 10% discount on the total amount of the stay if the booking is made more than 90 days prior to arrival. This offer is valid year round except during peak period (December 19th - January 10th) and is combinable with the free nights offer. For a stay of minimum 7 nights the airport shuttle is offered free of charge. There is a maximum of 2 free transfers per villa / appartment. This offer is valid year round including peak season. For couples/couples with a baby (less than 3 years old) who book within 30 days prior arrival a 40% discount is offered. For couples/couples with a baby (less than 3 years old) who book within 60 days prior arrival a 30% discount is offered. This offer is valid year round except during peak period (December 19th - January 10th) and the month of April 2015 (April 1st -April 30th) and is not combinable with any other offers. If you plan to stay in Mauritus for at least one month you may inquire about montly rates. 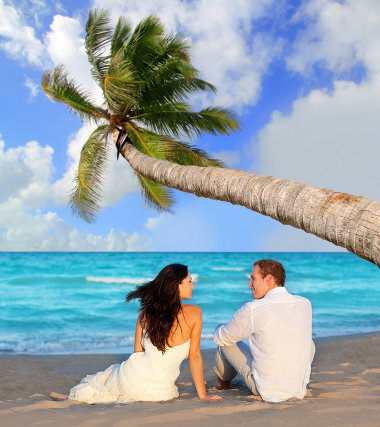 You've always dreamed about a perfect wedding and at Holidays-Mauritius.com we can assit you in finding the right people to help make your dream come true. Bon Azur and Cape Point provides the perfect location with its elegant, intimate and beautiful scenery. The wedding package comes with free wedding cake, sparking wine, corkage fee, hairdresser and make up trial in your own room. You can also take advantage of our Honeymoon offer. With these two packages youare sure to create some wonderful wedding memories. This promotion is applicable year-round, with a minimum stay of 5 nights. With our Honeymooners package, you will receive a romantic sun downer, a setup on the beach or pool lounge area, a bottle of chilled white wine and some snacks. You and your partner can just relax and enjoy the magic of the area. The package also comes with a room turndown complete with candles, flowers and fruits. Guests staying at these two resorts can book babysitter services. For every 3 hours paid you will receive 2 hours free of charge. Your children will receive a set of beach toys to play with. The package also comes with a free children's coupon per family to vist Aquarium of Mauritius (a 2-minute drive from Bon Azur and 15 minutes from Cape Point). This offer is valid year-round, with a minimum stay of 5 nights. Please note that the babysitter must be booked 7 days prior to the guests' arrival and that the voucher for Aquarium of Mauritius must be presented at the entrance.